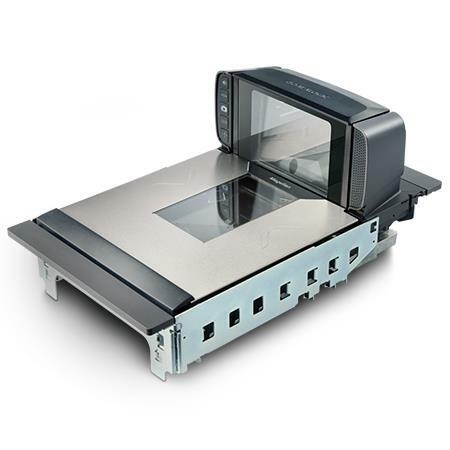 The Magellan 9400i scanner/scale is part of a new class of high performance bar code scanners. 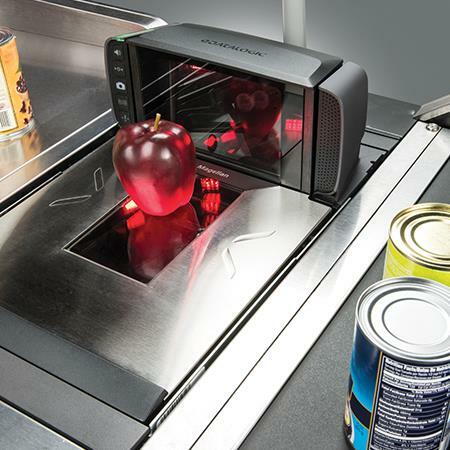 With digital imagers in all planes, the 9400i scanners read both 1D and 2D bar codes seamlessly without requiring item orientation by the cashier. The Magellan 9400i has a more traditional bonnet height and large horizontal and vertical windows. In addition, this allows optimum positioning for POS or self-checkout touchscreens, payment terminals and printers while maintaining ergonomic comfort for both seated and standing cashiers. Moreover, the optional Magellan Customer Service Scanner (CSS) enables retailers to easily engage their customers in mobile commerce programs. In fact, it allows them to scan bar codes from their mobile phone screen or paper coupons while the cashier continues to scan regular items in parallel, resulting in a significant reduction in transaction time. 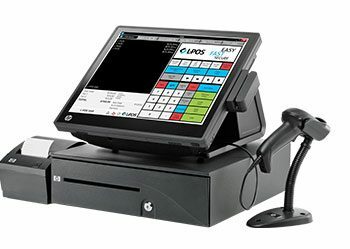 Innovative features and options such as ScaleSentry™ shrink monitoring/prevention technology, AllWeighs™ platters and the support of all major EAS systems makes 9400i purpose-built to help retailers reduce shrink at the POS. Full digital scanning with 2D code reading in every plane and image capture capabilities. Available with a dedicated Magellan Customer Service Scanner (CSS) with flexible mounting for reading cell phones, coupons and loyalty cards. Magellan 9400i bi-optic form factor is compatible with traditional checkstands and scanning techniques. Exclusively available with Datalogic Clear™ Glass featuring a lifetime warranty to the original user. Available with factory installed scales in pre-verified and on-site certifiable versions and models for integration with local store manufacturer solutions. The Magellan 9400i, with its three processor enhanced operation, is capable of supporting Digimarc™ digital watermark decoding and other future product enhancements which will require additional processor intensive capabilities. All-Weighs™ Scale Platter Integrated horizontal and vertical scale platter surfaces increase active weighing area for easy, accurate weighing of large items. Scalesentry™ Shrink Monitoring / Prevention System EAS Features Configurable audio / visual indicators identify items placed outside weighing surface. Scanalyzer™ Utility Scanalyzer On-Screen Programming (OSP) configuration software is available for download at no charge.